Our HP Z series and HP XW series workstations at Aventis Systems are powerful and versatile tower workstations that are perfect for engineers, developers, designers, traders, or anybody needing support for graphically intensive applications and multiple displays. Our HP workstations are available in a wide range of configurations and price points to fit just about any application and budget. Our refurbished HP workstation options are an ideal addition to any new or growing business. Our HP tower workstations offer the versatility necessary to expand with your small or medium-sized business. 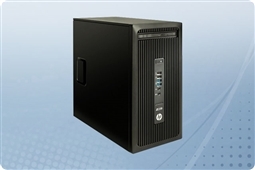 Each of our HP tower workstations offers custom configurations including several processor, memory, and hard drive options. We also offer additional upgrade options such as optical drives, graphics cards, and operating systems. Each workstation is equipped to support Microsoft Windows 7,8, and 10 as well as Red Hat Enterprise Linux. Take care of your HP refurbished workstation with our 1-year Comprehensive Warranty, or upgrade to our 2-year Extended Warranty for additional protection. We guarantee that your HP workstation will provide you with the scalability and flexibility you need to handle your workload and expand your business. Contact us with any questions regarding our HP Workstations! We’ll help you find the configuration that best fits your business’ needs. Browse our large selection of HP workstations as well as our Dell workstations today!